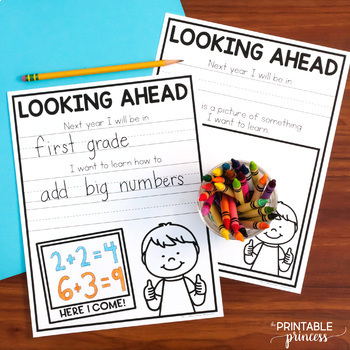 Memory books are a perfect way to gather student opinions and experiences throughout the year. Plus it serves as a sweet memento for students to look back on. 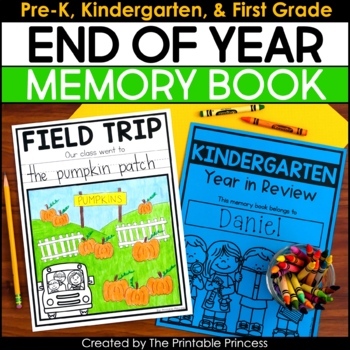 This memory book was designed specifically for Pre-Kindergarten through first grade students. 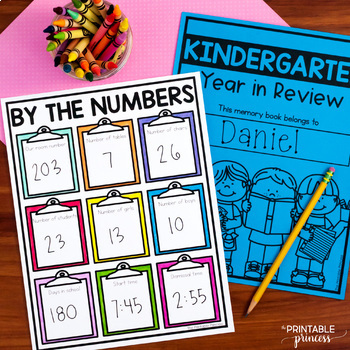 The pages are kid-friendly with large spaces for drawing and larger dotted lines for writing. 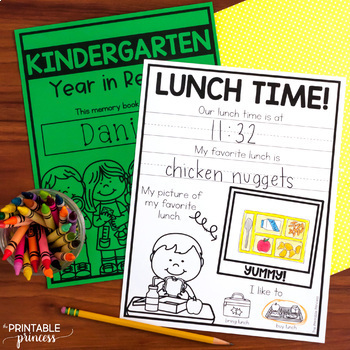 Each page focuses on only one theme such as my school, recess, a special day, class parties, etc. Theme pages are offered with differentiated options so that you can pick which lay-out works best for your students. Pages range from drawing a picture only, a picture and a simple written response, or a drawing and lines for a sentence or two. You do not need to use all of the pages in this book. There are several options and differentiated levels included in this resource. Pick the topics and levels that work best for you and your class. To create the memory book I would suggest that you complete only one page per day. First select the page that you will be working on. Next, as a group, have students brainstorm a list of ideas surrounding that theme or topic. This is a super important step to refresh student’s memories. Record or draw their ideas for them to refer to. You can staple the pages together or use a binding machine to create the books.